The SRM Origin with aluminum crank arms and a new, lower price! The SRM Origin MTB Aluminum Power Meter adds another option for riders that want to take advantage of the best SRM has to offer. With the Origin Aluminum, you get the accuracy, consistency and durability SRM is known for, but at a price below that of the MTB Carbon version. In addition, if you’re looking to run shorter crank arm lengths, the Origin Aluminum has you covered! While the Carbon version has 170, 172.5 and 175 mm options, with the Aluminum you also have options of 160 and 165 mm. The Origin also offers near limitless compatibility with exchangeable 30 and 24 mm spindles, which means it can be used on virtually any frame on the market. 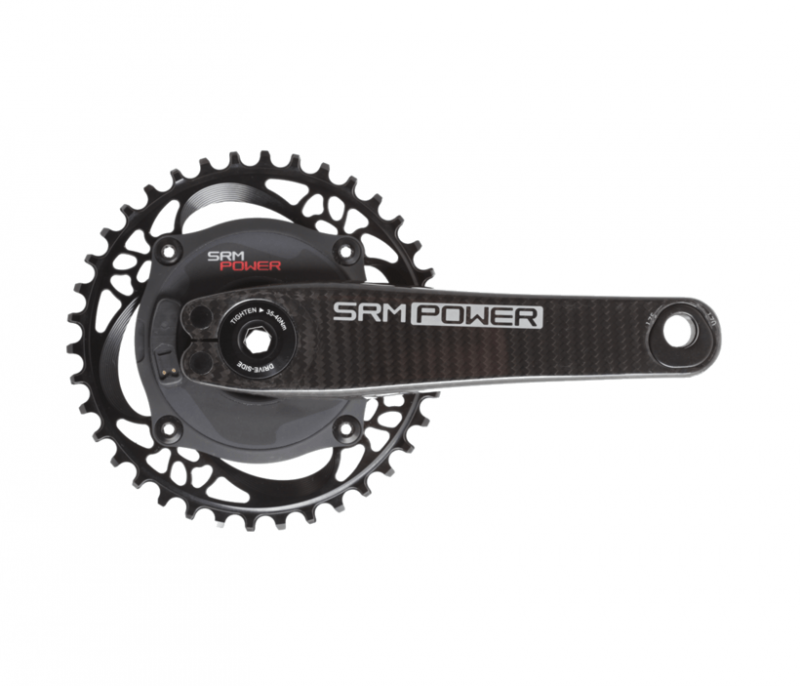 The SRM MTB Aluminum Power Meter is available in either a standard or rechargeable battery and can be purchased as a power meter spider only, sans the LOOK crank arms. The SRM Origin MTB Aluminum Power Meter is BB30 compatible and comes with either a 30 x 149 mm spindle for standard frame spacing, or a 30 x 155 mm spindle for Boost spacing. If you have any questions on compatibility, please contact us and we would be happy to help.